As chair of KJK’s Tax Practice Group, Kevin works with closely held businesses in a wide range of sectors, including manufacturing, transportation, mining and real estate in matters related to tax and wealth planning. He also works with individuals on estate planning, succession and tax planning. 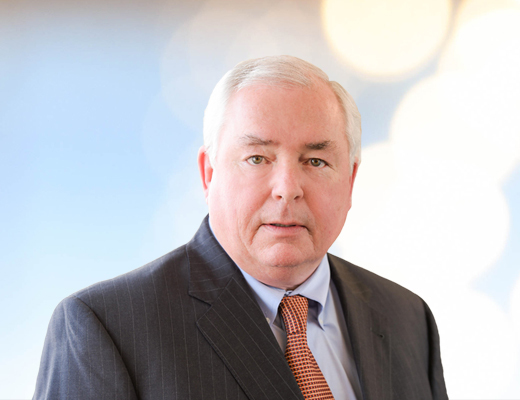 Kevin is both a practicing attorney and a certified public accountant, bringing nearly 40 years of experience in both disciplines to his client service. As a result of that unique blend of legal and accounting expertise, Kevin can deliver comprehensive tax-related counsel as well as creative thinking to solve clients’ most complex financial challenges. Kevin is admitted to represent clients before the U.S. Tax Court in addition to state and federal courts. He has served in many leadership positions at KJK over his tenure, including his current position on the firm’s Executive Committee and his former role as Managing Partner from 1994-1999.